Our Polivac Floor Polishers for sale can be customised using a variety of pads and brushes depending on the floor surface or type of stain you need to remove. 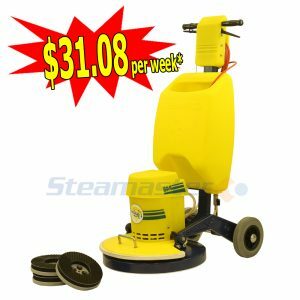 They are heavy duty machines and can deep clean floors, removing even the most difficult marks. They are ideal for use in public buildings, schools, shops and hospitals. 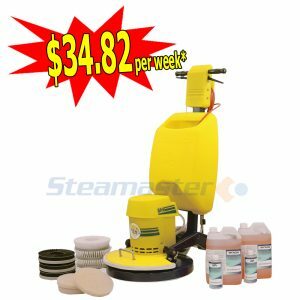 If you are planning to buy a floor polishing machine to start out a new venture, Steamaster can help you get off on the right foot. With highly competitive prices and flexible finance options, getting started with your own cleaning business couldn’t be easier than this. Our friendly team will help you through the purchasing process and give you the advice you need to grow your business faster. We have a variety of floor polishers for sale to suit every budget and individual requirements precisely. Our floor polishers are purposefully designed to give that extra shine to hard floors and make them look their best. The floors will instantly start to look just like new as you move this floor polishing machine over the area. 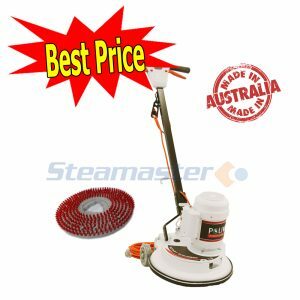 Here at Steamaster, we stock a range of commercial and industrial quality floor polishers from top manufacturers like Polivac, which include extra features such as a vacuum suction function. Our industrial floor polishers are easy and comfortable to use, leaving a high shine and gleaming finish to all hard floor surfaces. Our machines are highly maneuverable and low maintenance, making them the first choice for industry professionals. 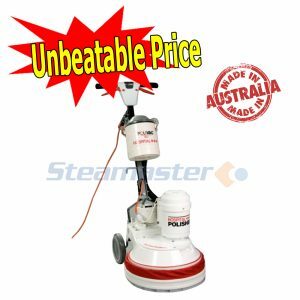 These Polivac floor polishers for sale come with contoured grips and adjustable handles that make cleaning easier and stress-free. You will never feel the excruciating burden of cleaning even the dirtiest floors, thanks to the direct gear drive mechanism of our machines that guarantees smooth and reliable operations. 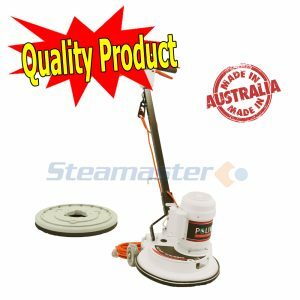 When you buy a floor polishing machine from Steamaster, you get an assurance of genuine purchase. All our machines are directly sourced from the manufacturer. This means that you get the right product at the right price. 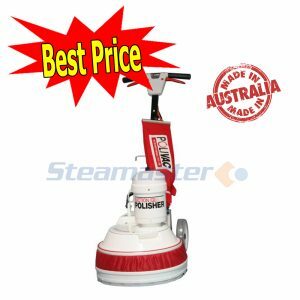 We can ship your floor polisher to your doorstep anywhere in Australia whilst guaranteeing safe, on-time delivery.